The scientific organization of labor, rational layout and equipping of workplaces is an important reserve for increasing productivity and improving product quality. Not casually the Exhibition of achievements of national economy of the USSR, devoted to MUSIC, always attract the attention of specialists in various sectors of the economy, including young innovators, participants of all-Union review NTTM. For them, we offer today exhibited at the USSR exhibition of economic achievements of the model projects equipment jobs. These developments can be of assistance in the equipment of vocational schools, which, as noted at the XVII Congress of the Komsomol, the young Communist League takes patronage. To imagine such a situation is easy because it can be found in any industry. On nearby machines, employed two workers of the same qualification, with equal seniority and experience on the machines of the same brand, perform the same operation. It would seem, all the same! But one, productivity is much higher than the other. The second, all pre-prepared, everything is at hand. And the locker had some sort of different: with numerous pivoting shelves, which is neat, but not a bunch like the first, laid out the tools. Trivia? No. The Central research Institute “electronics” was created model projects jobs. Implemented in some companies, they give a considerable economic effect: at the workplace rewinder — 25 thousand rubles a year, storekeeper “instrumentals” — about 26 thousand rubles, puncher — more than 55 thousand rubles in savings. Not accidentally, many institutions and organizations of various industries pay great attention to the improvement of workplaces. This thread is dedicated to each year and a special exhibition of many industrial pavilions, thematic exhibitions and parades of the USSR. One of these works is shown in figures 1-3. Is the organization a workplace of the borer performing on jig boring machine processing of holes with the exact location of the axes. 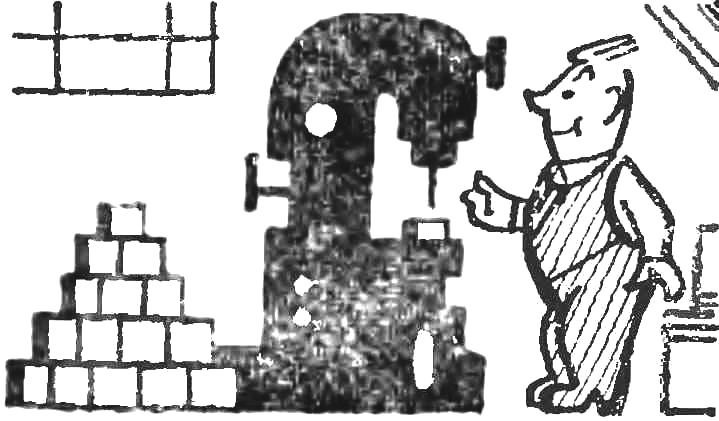 Figure 1 presents the proposed Institute scheme of rational layout of a workplace of the borer, exhibited at the VDNKH. It includes, in addition to the jig-boring machine 1 type 2Д450, organizational, and technological equipment. Here the simplest lattice 2 under the feet of the operator, the rack with extendable platform 3 and the console 4, is very useful when boring holes in parts of low height. Near — horizontal rotary table 5 and is also rotatable, but universal 6, with stand 7. Separately, on the sidelines, the control Cabinet 8 and very close — tool Cabinet 9. This Cabinet is what is called a hand and intended for storage of additional cutting tool, which borer you have to use constantly: burstankov, tool holders, drills, core drills, cutters. Universal and horizontal rotary tables are used to perform such technological operations which require rotation of the workpiece to specified angles. For placement and storage of tables is a rack stand model SD 3702.10 (Fig. 2), capacity 200 kg Another rack model SD 3725.01 (Fig. 3) in the lower part is a sliding platform. Top shelf is designed to accommodate the workpiece carriers or containers from blanks, and at the bottom, the retractable platform can be technological equipment permanent use of the load Capacity of the rack: top shelf — 100 kg on the bottom, a sliding platform 300 kg. Such a well thought out plan of a workplace of the borer, not just convenient. It improves working conditions, increases the culture of production. Moreover, the implementation of such plan and the equipment at the Moscow plant coordinate boring machines helped increase productivity by 3-5%. Attracted the attention of visitors of VDNKH of the USSR and the other the development of the Institute “Orgstankinprom” — model project of the workplace of the Turner (Fig. 4). Here, the search was aimed at finding the optimal planning of the complex “machine — snap”. 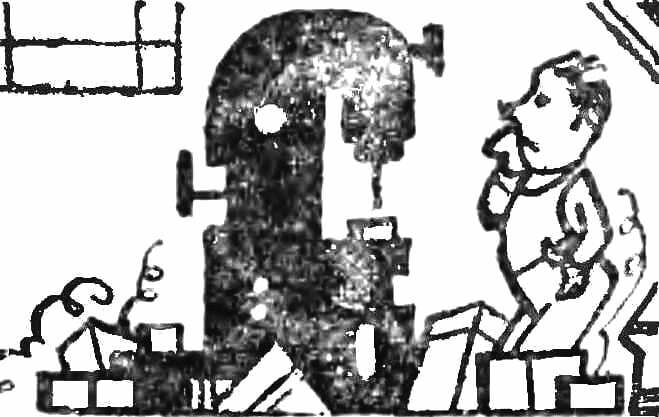 The diagram shows a lathe 1 type 16K20, right — instrumental table 2 models of SD 3715.06, designed for two-shift work; at the bench, under the feet of Turner grille 3 models OSB-40; on the left hand from a work — receiving table 4 model SD 3702.12 with box packaging on it 5. 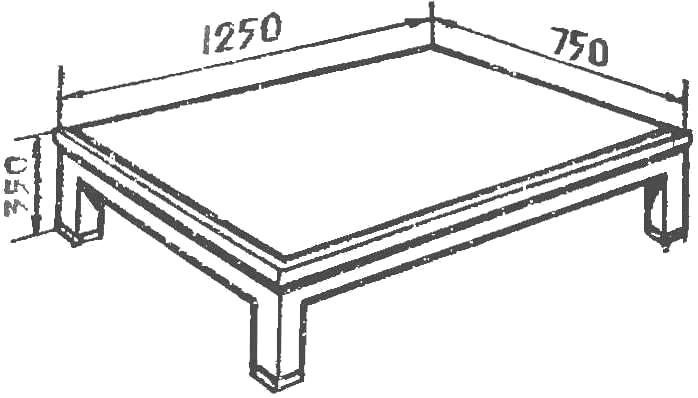 Table in the figure is shown with one open compartment. Visible drawers — four of them in each compartment, and one fixed, at the top, and a pull-out lower shelves. They are convenient for keeping essential tool and means of care work-place of the Turner. Housing tables — metal. On top of it is seen the tablet for attaching drawings (model SD 3750.05). 300 kg at a bodyweight of 40 kg. In the development of mechanical auxiliaries of workplaces Institute “Orgstankinprom” introduced a progressive system of unification of their parts and assemblies. 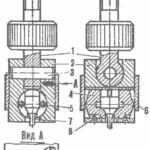 This means that from the same “cubes” it is possible to manufacture various versions of the mechanical auxiliaries, depending on the destination. Such “cubes” are collapsible frames and tabletops, case, doors and drawers in bedside tables. The unification of the elements of the mechanical auxiliaries reduces its cost, allows to “collect” various production “Suite”. 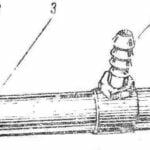 The issue of such mechanical auxiliaries mastered the Moscow factory “Stankoagregat”. Figure 5 shows a convenient layout workbench of tools mechanic. It has the original swivel chair with a height adjustable seat; counters and a vise mounted lighting and stand for mounting drawings. The pedestal bench contains five drawers of various capacities for storage of documentation, and control of the cutting tool, Each of the drawers slides out easily, so the lacquer they rest not on the rails, as usual, and on the rollers. Frame bench is made of two cast iron pillars connected by corners, and lined with the Delta wood. Such workbenches are recommended for the equipment of workplaces instrumental or mechanical sections mechanical workshops. Special working space for the installers of automatic production lines and developed the Institute “Niitavtoprom” in cooperation with the automobile plant AZLK. This instrumental case (Fig. 6), which was caused by the introduction of some production areas of the plant system of active supply tool and automatic production lines. The system provides on these lines the necessary supply of tools stored in the Cabinet and provided by the technicians of tool handout pantry for a specific decanter. It has significantly increased the utilization of automatic and production lines. The use of tool cabinets and active service lines reduced 10% consumption of the cutting tool and cut the simplest of equipment, thus ensuring a considerable economic effect.